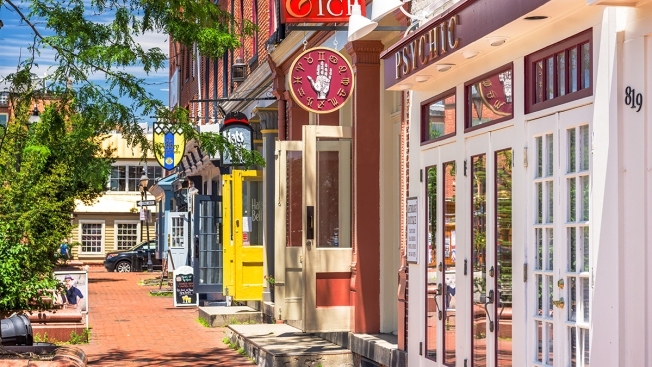 Celebrate 50 years of fun at the Fells Point neighborhood street festival. Located on Broadway and Thames Street, the fest will feature more than 10 music artists, performing on two different stages as well as food and other local street vendors. Aching for some art? Little Italy in Baltimore has you covered -- at least during its art festival coming to South High and Stiles streets! During this three-day event, professional and student artists will showcase chalk designs painted directly on the street. This year's theme? "The Movement of Change," according to the event's website. In addition to the art, the event will also include Italian food (of course), wine, music and more in "a celebration of the contemporary renaissance of Baltimore's historic Italian neighborhood." For the third year, the Baltimore Rhythm Festival will organize free activities for the Baltimore community at the Lovely Lane Church and in the Old Goucher community, located on St. Paul Street between 22nd and 24th streets. Activities include performances, workshops and a variety of vendors from noon to 6 p.m. Can't shake the beat? A ticketed evening concert will take place at 7:30 p.m., featuring Amadou Kouyate, Bomani Armah and Immaletchufinish, as well as Baltimore's Sankofa Dance Theater. Why have the blues when you could have some Baltimore brews? This 10-day festival includes a beer-related range of home-brew competitions, beer and donut pairings as well as an opening tap celebration at the M&T Bank Stadium parking lot on Oct. 8. Cost varies depending on the event, so check out the event list on their website for more details. For its 15th year, the annual Pigtown Festival will take to Washington Boulevard for music, beer and, of course, its traditional live pig races. All Mighty Senators, Kelly Bell Band and Footwerk will be performing live, and beer will come from local Baltimore brewery Oliver Brewing Co. In addition, food, craft and other local vendors will be at the event.